TKTMJ Incorporated is a family owned full service construction firm, founded by company President Tom Tubre in 1994. In January of 1998 Tom was joined by his son Thomas Tubre, Jr.
Thomas has served as Vice President and General Manager since joining the firm, overseeing the day-to-day operations of the company’s construction activities. In 2005 Michael Tubre joined his father and brother by coming aboard as Vice President and Comptroller. As a family company, we recognize the need to help our neighbors in times of despair. We’re proud to share our resources and time. After the Great Flood of Baton Rouge 2016, TKTMJ mobilized to help rescue people from flooded homes and rising water. In Louisiana, cooking is more than just a way of life. From the epic flooding in Baton Rouge to the deluge of Hurricane Harvey, the TKTMJ team has provided over 5,000 meals for survivors sharing a little bit of our cooking culture with families who have lost everything. In the wake of Hurricane Harvey, we banded together with other local business to purchase supplies and acted as a drop-off point to receive donations for essential supplies for storm victims, using our 18 wheeler to bring supplies to our neighbors in Texas. Every year the TKTMJ team “Braves the Shave” for childhood cancer. Kids with cancer is a hard statement to say and a much harder one to live. We believe in helping with finding a cure for this horrible disease that inflicts kids. We raise money every year and shave our heads for this cause. Tom has more than 30 years experience in the construction industry, performing commercial building construction, highway construction, general engineering projects and housing developments. Tom is a native of Louisiana and did his undergraduate work at the United States Air Force Academy and Louisiana State University where he obtained his Bachelor’s degree in Mathematics. He has extensive construction management skills in differing construction disciplines. Thomas has more than 17 years experience in the building construction, highway and heavy civil construction business, and has performed infrastructure work in the communications industry. Thomas studied Civil Engineering at Louisiana State University, with a minor in Mathematics. Thomas offers a confident leadership style coupled with strong organizational and management skills. Thomas excels in adapting to the many different personalities in the industry, solving difficult problems, innovating new methods, and managing all aspects of running a successful construction company. Michael has 12 years experience in residential and commercial general building construction. He has worked as a project manager in New York City’s Harlem Borough where he was involved in the construction of seven buildings spanning two full city blocks. Michael is a graduate of Tulane University in New Orleans and prior to returning to TKTMJ was pursuing a Master’s degree from New York University in Real Estate Development. A native of New Orleans and an Eagle Scout, Scott graduated from Brother Martin High School before earning a degree in Civil Engineer at LSU. Before returning to LSU to earn his JD and an MBA, he passed the Fundamentals of Engineering Exam to become a licensed Engineering Intern and worked for the engineering firm Modjeski and Masters, Inc. After graduation from law school, Scott joined the firm of Deutsch Kerrigan, LLP where he was made a Partner in the Construction Section. His defense practice included contract negotiation, protection of security interests such as Statements of Claim and Privilege and Materialman Liens and assisting clients in avoiding litigation which led him to meet TKTMJ, Inc. as a client. After years of representation, Scott made the move in-house with TKTMJ, Inc. in September 2017 to assume the role of Executive Counsel. An active member of the Krewe of Thoth Charity Committee, Scott lives in New Orleans’ Warehouse District with his wife, Jacqueline, son, Colin and their two rescue dogs. As Director of Business Development for TKTMJ, Adam focuses on acquiring work, developing win strategies, and leading the project pursuit process, as well as on cultivating new, and maintaining current, client relationships. Having over 15 year of experience in all facets of construction, including quality control, job costing, project management, and estimating. Adam is a valuable resource to our clients throughout the entire construction process. Well-developed leadership and analytical skills as evidenced by the ability to coordinate employees, trades, develop partnerships, and build teams. He has extensive experience managing projects and people and has been involved with all aspects of project management including initiation, planning, execution, monitoring, and closing. His service-oriented professional demeanor has enabled him to quickly build rapport with clients. Adam attended the University of New Orleans and University of Florida and graduated in 1998 with a Bachelor of Science in Business Management. He is also licensed by the State of Louisiana (#62581) in Building Construction, Electrical and Mechanical. Adam is actively involved in the St Pius X Men’s Club and also a member of the TKTMJ St Baldrick’s team, and the Cajun Cooking Team. Lex is a Construction Manager for TKTMJ. He is results oriented, hands-on construction and development professional with 34 years of expertise in all facets of the industry. He has a verifiable track record for the successful completion of multi-million dollar projects through coordinating trades, developing partnerships, and building positive rapport with architects, engineers, local officials, vendors, and clients while maintaining costs. He has performed numerous roles throughout his career providing him with a well-rounded experience and understanding of construction management. His team-oriented approach towards each project has been the driving factor behind exceeding customer satisfaction on all of his projects. His ability to work within, lead, and foster a team environment with the common goal of success by all parties in the best interest of the client/owner is what makes Lex a valuable part of any team. Lex Allain is married to Denise Robichaux Allain for 34 years. They have raised two sons, who are doctors and are married. Lex is the Grand Knight for the Knights of Columbus Council 8546 at St. Francis Xavier Catholic Church. He also ushers and takes communion to the sick. Lex is also, the State representative for the American Institute of Constructors. Lex is an avid golfer, fisherman and hunter. Glenda serves as the Office Manager, where she oversees TKTMJ’s information technology, accounting, and document coordination professionals. She brings 35 years of experience to her position. Glenda wears a variety of hats for TKTMJ and is truly a professional who holds herself and her work to the highest standards. She has been involved in a wide variety of projects including private sector projects, state funded government projects, and federally funded projects. Glenda attended the University of Southwestern Louisiana in Lafayette, Louisiana where she majored in accounting. In her spare time, Glenda has a passion for animals and refers to them as “guard dogs” for the Natchitoches office. Joey develops and manages project coordination of our crews, materials, and equipment. With over 20 years of hands-on construction experience in implementation and mobilization, Joey is able to plan for and effectively manage any issue that might arise. Joey has a broad range of experience. He joined TKTMTJ 15 years ago and has coordinated field operations. He leads the field personnel to ensure success for the owner, engineer, and architect with a focus that the team works together to achieve the end goal of a safe and successful project. Joey enjoys working and in his spare time, you will find him working on a machine or in the shop. Danielle has over 21 years’ experience in the fields of construction and engineering under her belt. Danielle has been part of the TKTMJ team since 2011 and as administrative assistant, she handles daily administrative tasks as well as preparing bid invites and submittals. Danielle’s depth of experience and wealth of knowledge keep things at the New Orleans Office running smoothly. Danielle loves the Saints and loves to travel to watch them play. She is mom to 3 adult children, a son, and twin daughters. She also has 2 dogs. The Tubre family founded TKTMJ, Incorporated in 1994 and continues to run it. 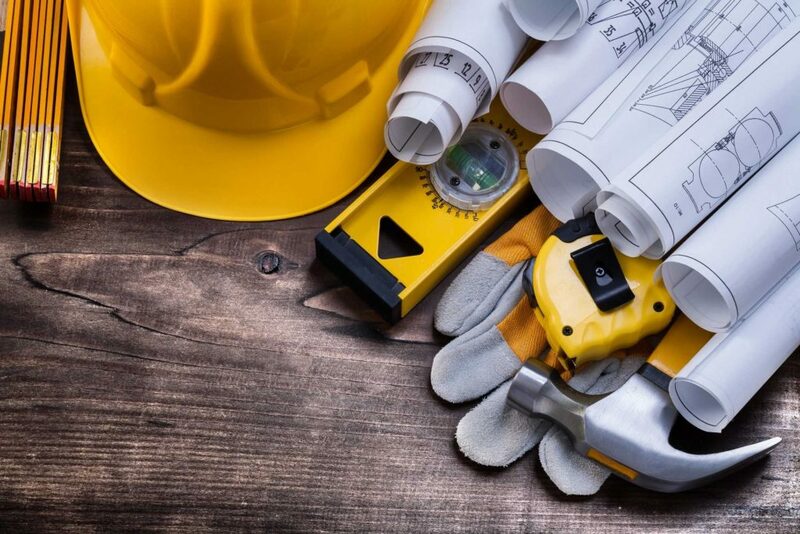 Our construction firm provides a full range of services while focusing on the tenets of safety and value, and keeping our people and customers our number one priority. Our founder, Tom Tubre leads TKTMJ. His sons, Thomas Jr. and Michael, serve as vice presidents, following their father’s leadership example and commitment to quality. Based in Natchitoches, Louisiana with office in New Orleans, LA and Beaumont, Texas, we work with individuals, developers and government agencies at the local, state and federal levels on projects of all sizes. We specialize in providing turnkey solutions to your construction needs. We’re a family. We take that into every business endeavor by approaching each project with true “family values.” That’s not a buzz word here. Tom, Thomas, Jr. and Michael lead TKTMJ by example, showing and dedicating courtesy, efficiency, integrity, and safety in every business day on each project. Our business reputation is tied to our family name and we’re proud to say both are known for a prudent, responsible nature, a courteous way of doing business and an environmentally responsible nature. We consider our employees and our subcontractors a part of the family, too. We expect and require the same values of each of them. That means whether you meet our receptionist or our company president, you receive the same treatment. Our focus on client communications means we stay on the same page and on top of your needs. We consider the success of your project our priority. We aren’t just here to construct a building, but to build your success. We do that by consulting with you on structural needs and functions, utilizing cost controls, and stringent quality controls all while sticking to your project schedule. Doing this means we deliver a quality finished building to you on time and under budget. TKTMJ hires talented, experienced individuals who combine that experience with flexibility and knowledge to deliver quality construction projects. Our founder, Tom, a Louisiana native, has more than 30 years of construction experience. He attended the United States Air Force Academy and Louisiana State University, earning a Bachelor’s in Mathematics. His key experience areas include commercial building construction, general engineering projects, highway construction, and housing developments. Thomas Jr. entered the construction industry more than 25 years ago. He combines experience in building construction, highway construction, and heavy civil construction business with a Bachelor’s in Civil Engineering from Louisiana State University. He also worked in the area of communications infrastructure. He is an organized problem solver and a natural manager. Michael entered the construction industry 20 years ago, focusing on residential and commercial general building construction. His construction experience took him to New York City as a project manager for a seven building project that spanned two blocks in Harlem. He graduated from Tulane University and began Master’s studies at New York University, studying Real Estate Development. We combine our family talents with business acumen to produce high quality construction projects while anticipating customer priorities and addressing client concerns. We have two LEED Accredited Professionals on staff. We keep our job sites safe. We respect the environment. We commit to the values on which we based our company. We are proud to be a Service Disabled Veteran Owned Business (SDVOSB). TKTMJ is also a SBA HUBZone Small Business construction firm. Our company maintains licenses in Louisiana and Mississippi. It was required that this work be done in an expeditious manner…TKTMJ was more than up to the challenge and always exceeded our expectations. The quality of work was exceptional and in many cases was performed and completed in the same day. They would regularly correct problems and provide support beyond that which would normally be required. I would recommend TKTMJ for any future work to be done. This contractor worked safely, diligently, and completes this project three months ahead of schedule. There were no safety incidents, considering they used 18 tri-axel trucks on small levees with 90 degree turns this is truly a display of outstanding safety control and management efficiency. TKTMJ has performed work for Project Home Again since 2008. TKTMJ has consistently performed high-quality work ahead of time and on budget. TKTMJ agreed to experiment with new construction materials and methods and was able to maintain a productive working relationship with various green-building consultants who were assisting us obtain certification from the Department of Energy’s Builders’ Challenge program. All of the houses were successfully certified.